Staatsoper rep night: Salome. Ancient production? Check. Underrehearsed staging? Check. Uneven singing? Check. Welcome back to the opera house where everything can go pretty much right but Salome can still come out bland. Camilla Nylund is an alright Salome, but I’m sure she’s better in other roles. Peter Schneider isn’t the best Strauss conductor out there, but you could do far worse. 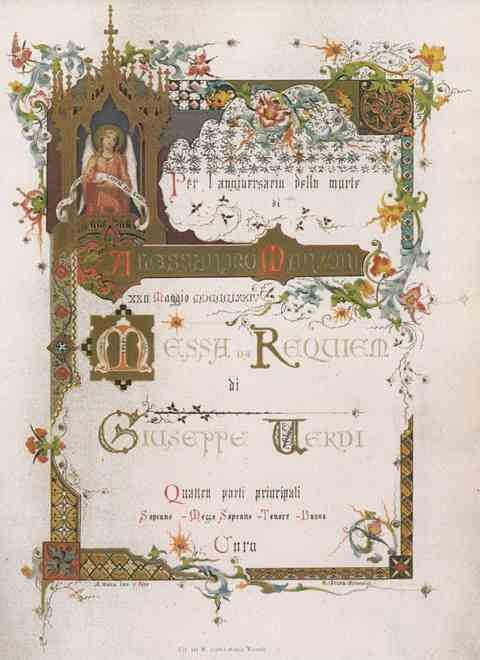 Unfortunately, this is an opera that requires a frisson from some source or another. 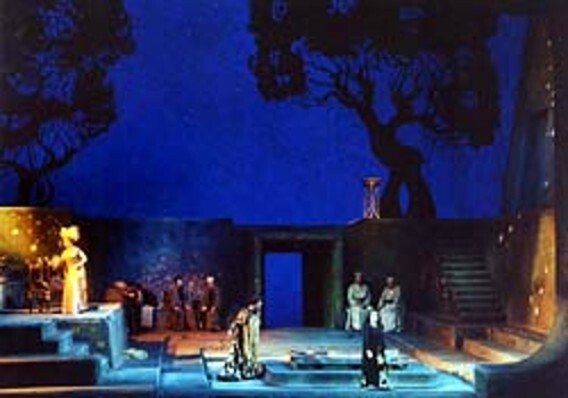 Strauss, Salome. 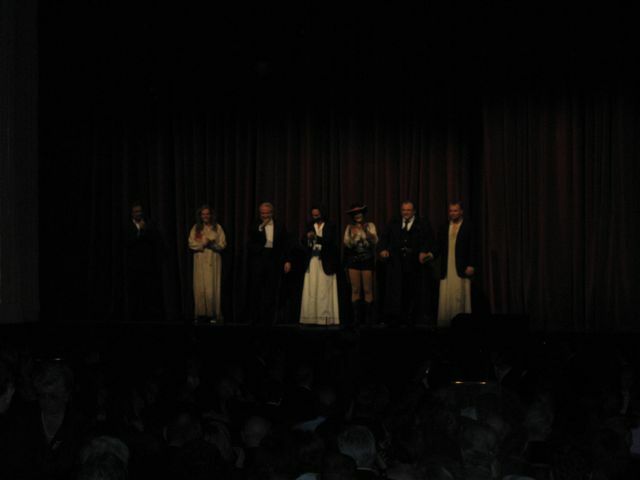 Wiener Staatsoper, 2/2/2011. 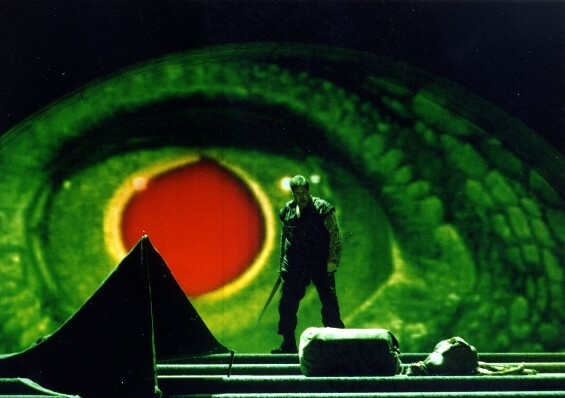 Production by Boleslaw Barlog (revival), conducted by Peter Schneider with Camilla Nylund (Salome), Tomasz Konieczny (Jochanaan), Wolfgang Schmidt (Herod), Iris Vermillion (Herodias), Marian Talaba (Narraboth). 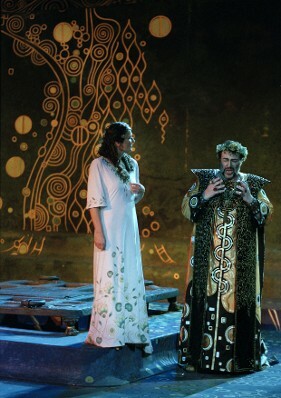 Boleslaw Barlog’s production takes its visual inspiration from Klimt, but on this 196th performance there wasn’t much glitter left on Jürgen Rose’s sets. Gold floors are vaguely spotted with colored tiles, and generically Middle Eastern robes with mosaic bits are the clothing of choice. The photos here make it look rather nicer than it does in person, from the Galerie standing section it was just a brownish platform with some spots. The worn quality is less one of appropriate decay than simple drabness, and often there’s not enough color contrast to see what’s going on. I’m not sure what its angle was, if it ever had one in the first place. Something about the exotic as self, I am sure, whatevs. Of the Personenregie, today it is a site of park and bark. Peter Schneider conducted a spotty rendition of the score. The orchestra obviously can play this piece very well, but I’m not convinced they were playing well together, and some moments worked while others were flat and unfocused. The character was somewhat soupily Romantic with Rosenkavalier tendencies, but not differentiated enough to give a decisive impression. It wasn’t bad, in fact much of the playing was quite good, but it had little shape or edge. 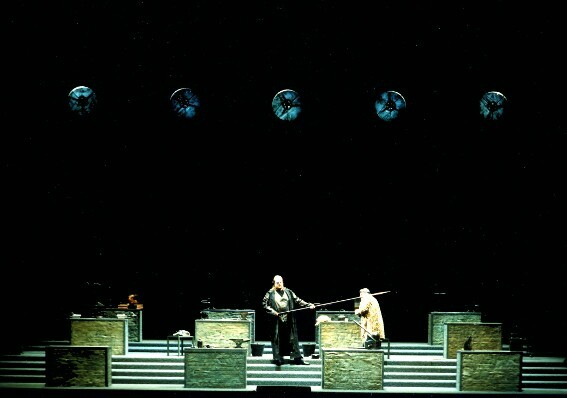 Like the staging, it lacked intensity. Tomasz Konieczny was a hale and hearty, even a clean John the Baptist. He sounded healthy as well, with a metallic, noble sound that suited the part far better than his downright reputable looks and ordinary presence. The rest of the cast failed to inspire, though Iris Vermillion’s wobbly camp goddess Herodias was entertainingly over the top (sporting a glittery dress that I think we can call a harem Dirndl). 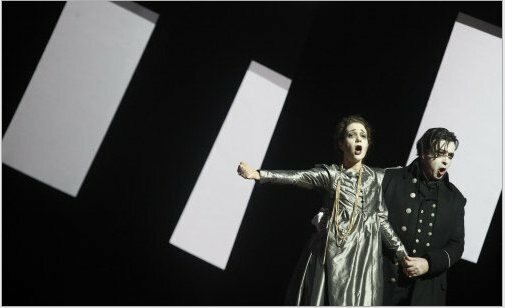 Wolfgang Schmidt, after a painfully voiceless Aegisth in Elektra at the Met last season, turned up again to do the same for Herod. 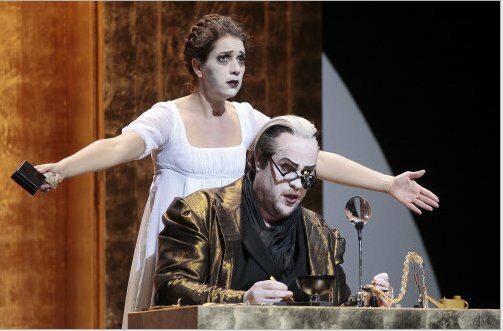 I know this isn’t a role where you expect beautiful singing, but there is a limit to how much hooting Sprechstimme one can be allowed characterization’s sake. Or vocal frailty’s sake, for that matter. Marian Talaba’s gargled Narraboth likewise did the evening no favors. The Nazarenes and Jews sang just fine, though the Jews carried on like dudes at Tevye callbacks at the First Presbyterian theater club, which made me a little uncomfortable. 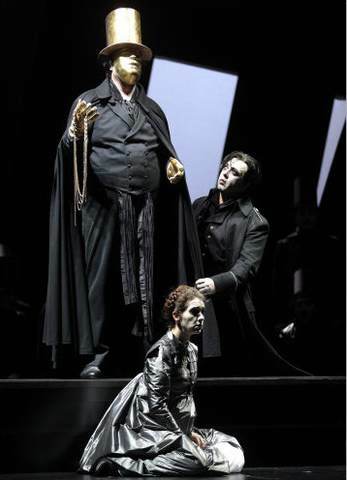 To make Salome so competently unmemorable requires special talent, but the Wiener Staatsoper is a special place.